MyMagic+ Reaches a Milestone – 10 million MagicBands! The MyMagic+ guest experience has hit a milestone: 10 million MagicBands have tapped their way into the parks and hotels, attractions, shops, parades and shows of Walt Disney World Resort. Since its debut, the colorful and innovative MagicBand has placed guests’ vacation choices right on their wrist. The MagicBand is the key to unlocking the magic of Disney, connecting guests to all the vacation choices they make – serving as their resort room key, park admission, access to FastPass+ selections, PhotoPass photos and — for guests of Walt Disney World resort hotels – optional payment method for food and merchandise purchases. MagicBands are not only a hit with Disney guests. The MagicBand was singled out among the “26 Coolest Gadgets of 2014” by Fortune Magazine. Fast Company awarded MyMagic+ a coveted “Innovation by Design” honor in 2014. 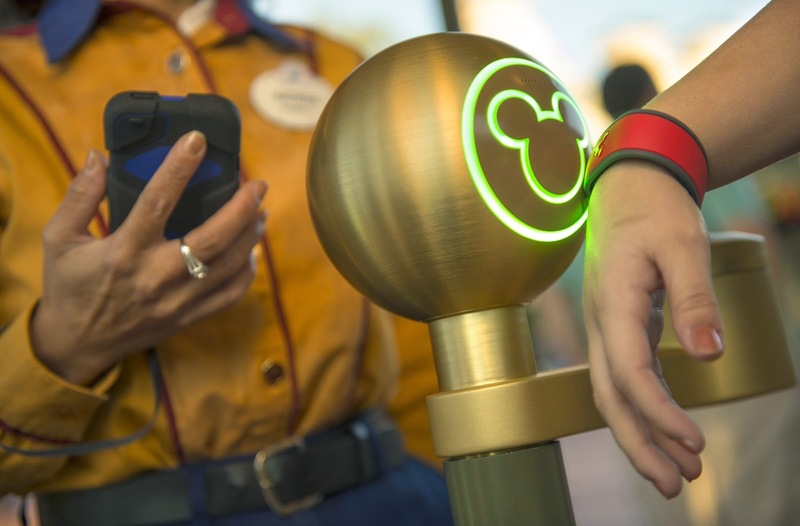 As part of the ongoing efforts to improve the guest experience, a new form of electronic payment is now being accepted at many Disney-operated merchandise, quick-service food and beverage, outdoor vending, spa and recreation, as well as ticket sales locations throughout Walt Disney World Resort using stationary touch-to-pay devices (stations also used for payments made with MagicBands). Known as contactless payment, this new form of electronic payment is most commonly associated with mobile apps including Apple Pay, Google Wallet or Softcard, as well as Near Field Communication-enabled (NFC) credit cards. Purchases using contactless payment are made by holding a mobile device or NFC-enabled credit card near the touch point (Mickey head) on stationary touch-to-pay devices. Contactless payments are planned to be accepted at additional locations throughout Walt Disney World Resort in the future. Beginning March 8, 2015, Donald Duck, Daisy Duck and their friends will welcome guests for a fun-filled character dinner at Tusker House Restaurant at Disney’s Animal Kingdom theme park. “Donald’s Safari Dinner” will offer guests the opportunity to meet some of their favorite characters, including Donald and Daisy* while enjoying a delicious selection of all-you-care-to-enjoy spit-roasted carved meats, unique salads, creative vegetarian offerings, hearty stews, and delicious desserts – all with an African touch. Guests can make reservations by calling 407-WDW-DINE (3463) or by visiting Guest Relations at any of the Disney theme parks or a Guest Services/Concierge desk at any Walt Disney World Resort hotel. “Donald’s Safari Dinner” at Tusker House Restaurant will be offered beginning at 4 p.m. daily. In addition to the new character dinner, Tusker House Restaurant will continue to feature Disney characters at breakfast and lunch. On Jan. 8, 2015, Disney princesses started to welcome guests to Cítricos at Disney’s Grand Floridian Resort & Spa while Cinderella’s Royal Table in Magic Kingdom Park gets a refresh. Reservations are required. Breakfast and brunch hours are 8 a.m.-2:20 p.m., and cost is $49.99; $31.99 ages 3-9. The experience is on the Disney Dining Plan (2 entitlements). 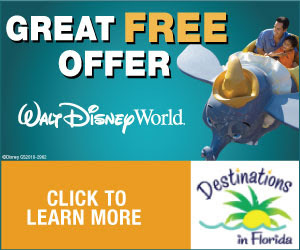 For reservations call 407-WDW-DINE. Online reservations and information will be available at a later date. Cinderella’s Royal Table is expected to reopen in March, 2015. Epcot International Food & Wine Festival launches Sept. 25 and runs through Nov. 16 this year – 53 days of sweet and savory tapas-sized dishes and beverages, plus tasting seminars, culinary demos, signature dining experiences, live entertainment and more.